Xiaomi has unveiled Mi Mix last year and it garnered praise from all corners for its design and features. Last month, we have reported Mi Mix is set to be released during some part of 2017. Earlier, CEO Lin Jun on his official weibo account has revealed that the Mi MiX 2 will be designed by French designer Philip Starck who also designed the Mi MiX. He further hinted that Mi MiX 2 will be devoid of physical home buttons and the screen covers the entire front side of the phone. The success of Xiaomi Mi MiX is evidenced by the impressive rating of 94.4% and easily went past its rivals compiled by Antutu based on positive reviews and comments. 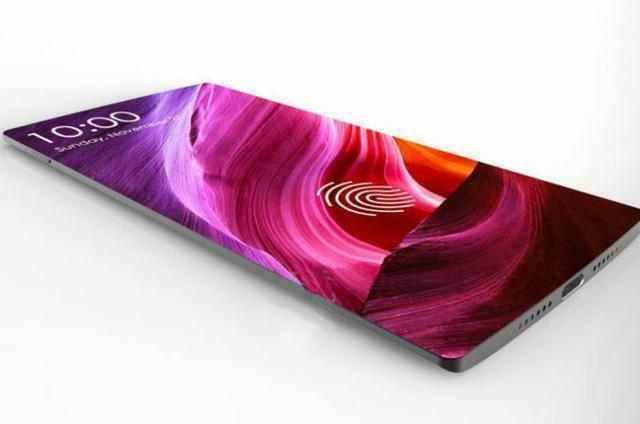 Coming to Mi MiX 2 the device is speculated to come with a lot of innovative features. Recently at MWC Chinese company, Goodix has unveiled new display fingerprint technology that transforms defined part of the display into fingerprint sensor. This technology will eliminate the fingerprint sensor button or rear mounted sensor. Later Chinese analyst Sun Changxu has hinted that iPhone 8 will feature the indisplay technology but he also said that a domestic Chinese phone manufacturer will adopt the technology first. 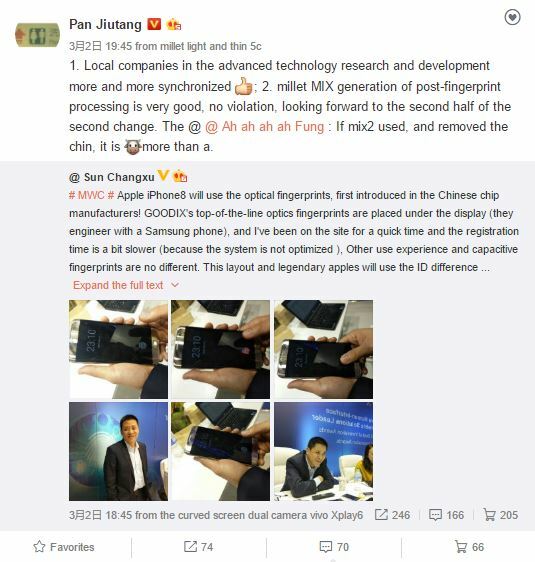 Now Industrial analyst Pan Jiutang has revealed that Mi MiX 2 will adopt the in-display fingerprint technology. He further added Mi Mix would be released during the second half of the year. Also, major changes are expected to be present in Mi Mix with regard to the screen to body ratio. Mi MiX has 91.3% screen to body ratio and Mi MiX 2 is likely to sport higher ratio than its predecessor. Also, Mi Mix was plagued by the low availability due to the ceramic body. However, Xiaomi's president Lin Bin said that the production of Mi MiX will be increased to make sure the device is available in insufficient quantity.